Every spring field hockey head coach Becca Main Kohli encourages her players to try out for the USA Field Hockey’s High Performance team. 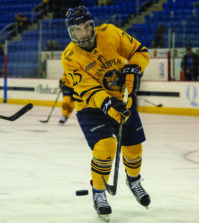 This summer, of the few Quinnipiac players to try out, sophomore Christa Romano and senior Kimberly Cunniff were the only Bobcats to make their respective teams. Cunniff played for the senior New England team while Romano was a member of the junior squad. The purpose of the program is to train athletes who can potentially play for the US National team. The teams were from different regions across the country and had some of the best players in the nation. Both Romano and Cunniff used the opportunity as a learning experience that they can translate into their games this season. 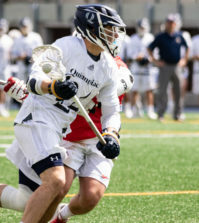 Cunniff has three points on the season this year, and Main Kohli already sees improvement in both Cunniff and Romano’s play this season and credits their summer experience. 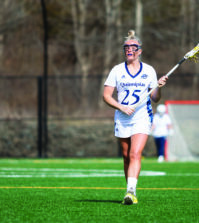 For Cunniff, the experience helped improved her chances of possibly playing at that next level. Main Kohli would indeed like to see Cunniff playing at the next level. “She’s a calm leader. She doesn’t get rattled. She’s just a storm when she plays,” Main Kohli said. After falling last season in the NEC semifinal to Rider, Cunniff and Romano’s summer experience is giving them high hopes for this season. “We’re a great team and I think the sky’s the limit for us,” Romano said.